We are offering Asparagus Adscendens Extract to our clients. We are one of the leading supplier engaged in offering Asparagus Racemosus Root. It is known for its various medical uses. - Saponins 20%, Saponins 30% . We manufacture a fine quality dried herb which pure and genuine quality it is mainly known for its phytoestrogenic properties. It widely used in many different forms of medicines like this plant has been shown to aid in the treatment of neurodegenerative disorders and in alcohol abstinence-induced withdrawal symptoms. Active Ingredient : Saponins 20%, Saponins 30% & Saponins 40%. Being a quality-centric organization of this industry, we are engaged in providing a wide array of Shatavari Dry Extract. Asparagus Racemouses Extract is extracted from the roots of the Asparagus Racemouses plant. The major portion of this extract are steroidal sapponins which give it a very powerful antioxidant effect, thus making this a very useful cosmetic ingredient. The product is available in powder form in packing of 25 kilograms HDPE drums. 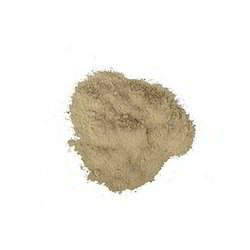 Abroma Augusta ( Ulatkambal ) is a brown colored powder derived from the root of the Abroma Augusta plant. The root-bark is used as an emmenagogue and uterine tonic, the action of the dried roots as well as the sap of the fresh root, has been studied. Abroma augusta has a long history of medicinal use in the Ayurvedic system. Specification: Saponins NLT 30% w/w . 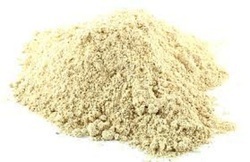 The healing qualities of Shatavari Extract are useful to a wide array of ailments. It is well known for it effects on the female reproductive system. It is also effective in a number of other systems of the body and is therefore of use to both men and women. Shree Kanakdhara Medi Herbs Co.